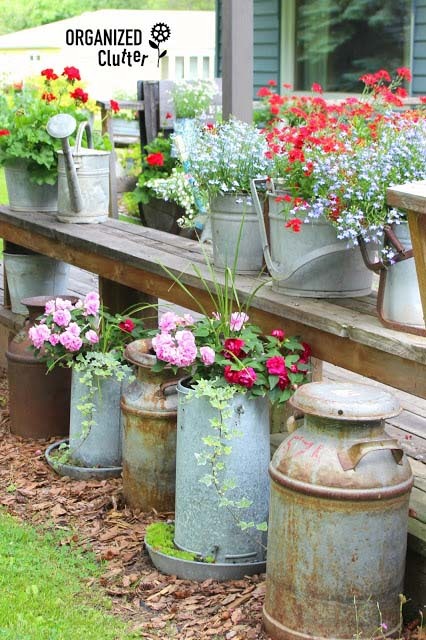 If you want to add some vintage-looking accents in your garden try these creative flower planters. 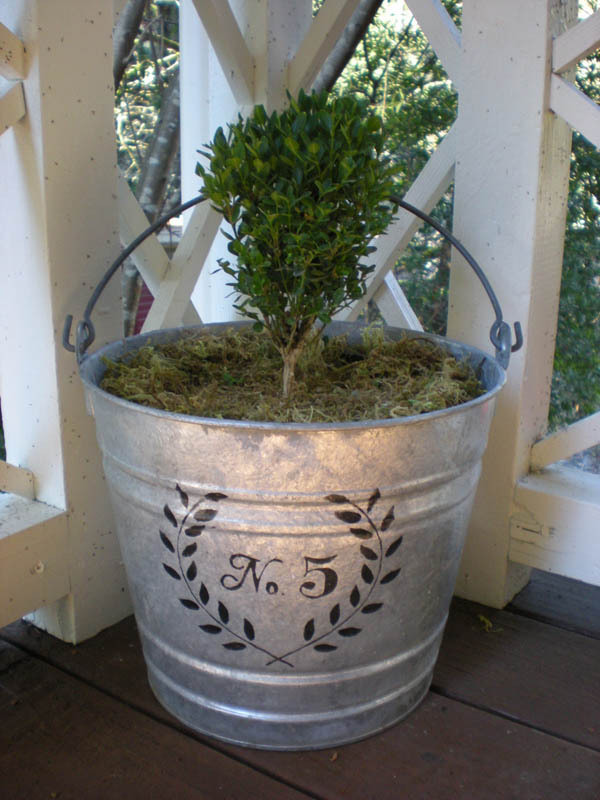 Great idea with tin buckets along the wooden deck. Perfect for displaying lobelia and red nemesia. 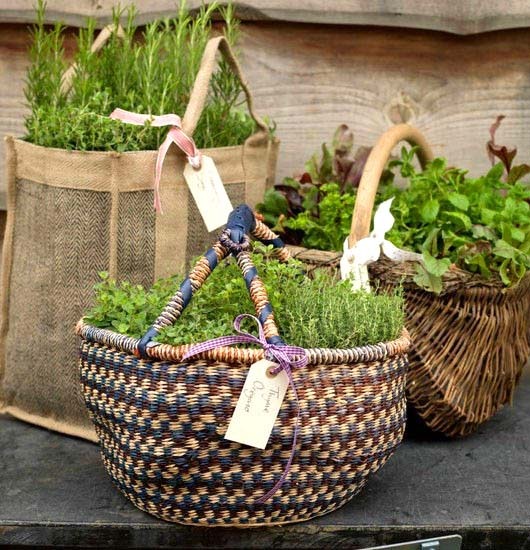 When it comes to small-space gardening, repurpose old baskets and fabric totes, they truly make lovely containers. Look at this statement arrangement! Definitely a creative way to grow herbs! Generally, whether on your balcony or indoors, a herb garden is always a charming option to both have fresh herbs and add color, scent, and visual interest to your space. Creative hobbies are the finest treat for our souls. They also have this way to inspire us to reach mastery in what we do, to maximize our potential. 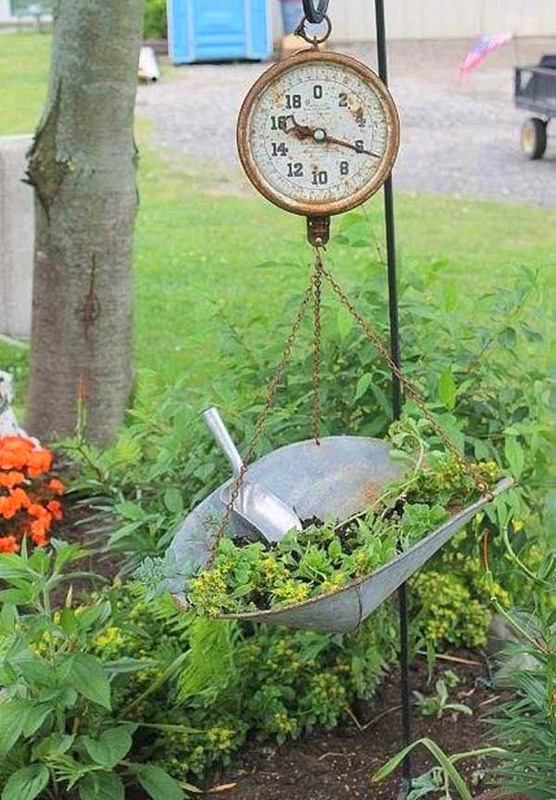 The sky is the limit when it comes to amazing, vintage looking garden planters. That is, of course, if you like limitations at all. Transforming ladders into flowers stands is an easy, affordable DIY project. Look at this presentation of potted plants! These ladder steps are definitely a gorgeous way to both create a display of potted plants and add style, visual interest, and personality. As you can see, it’s not that difficult to add some extra vintage charm to your space! After the tiny lovely planter baskets, it is time to handle the next vintage fusion of flowers. This is a pretty good use of a ladder, especially if you are not a fan of climbing up and down to repair stuff and prefer to enjoy the beauty of nature. Unleash your creativity! Think outside the ordinary terracotta pots! They all make gorgeous containers. 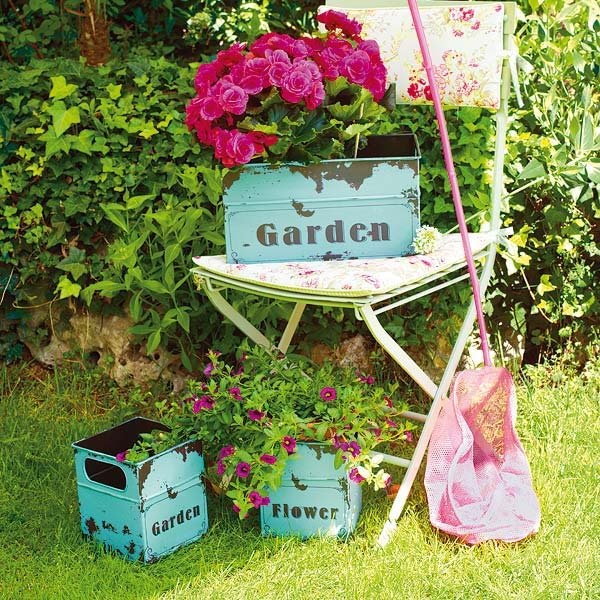 Plus, using any vintage-looking item is a fascinating way to add an extra dose of charm and personality to your garden! 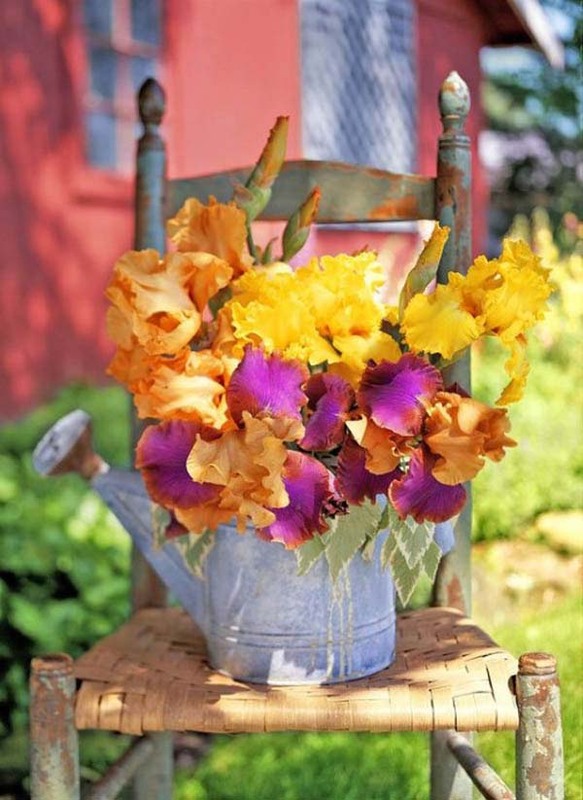 This yellow planter has a wide range of flowers and is beautifully located on the small chair. Both adults and kids would love being around this adorable arrangement of plants. You can also use pots and pans if you are lacking baskets around. Remember, anything with a bottom can become a planter! You can find me where the wild roses grow. 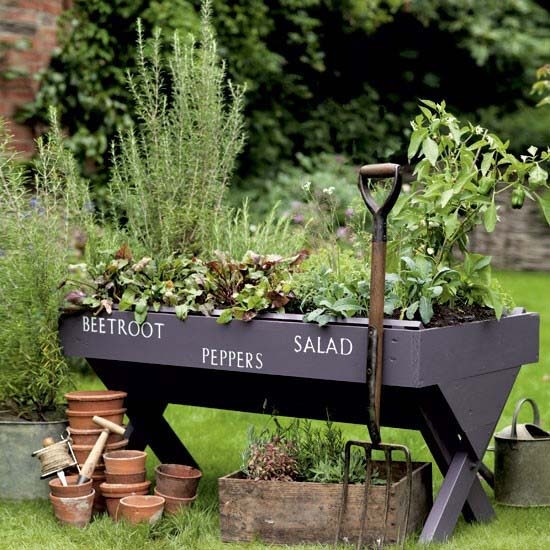 These vintage designs for garden planters are absolutely working for me. What do you think? See how the blue and the red stand out in the loveliest of all outdoor environments. 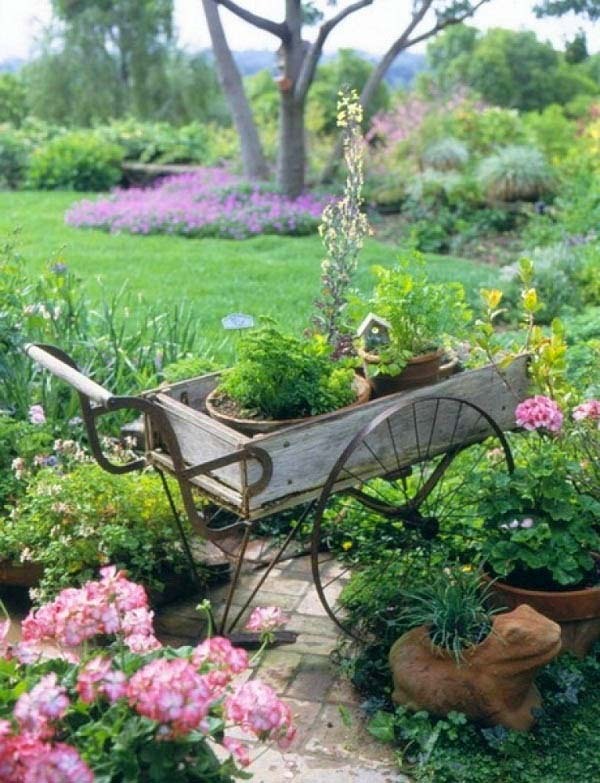 A garden is a space for our plants and hearts to grow. Heavenly, functional and most important of all – so healthy! Planting the ingredients for your divine salads is all about grounding and having the best food that is always fresh, tasty and clean. The planters add a little character to the garden; they bring out the special qualities of the produce! Alright, this little plant may seem simple and small, but it will grow into a beautiful emperor of the garden! Using a bucket always comes as a pleasant surprise. Look for one that is vintage enough for our project, but kindly skip those who have holes inside! My lucky planter is actually a full bench of flowers. 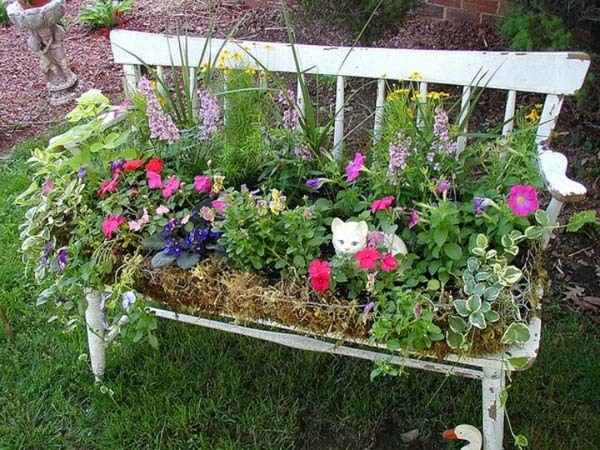 Are you allowed to turn an old bench into a planter? By all means. I think you should decorate it to the fullest. Well, not old enough to be tossed out, right? I have another inspiring idea where to plant your gorgeous flowers. 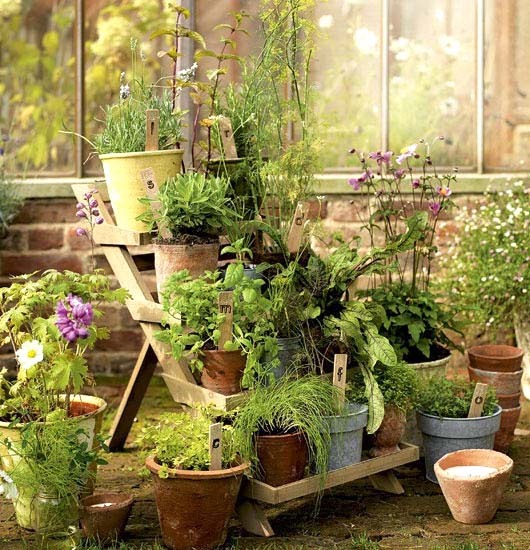 If your garden has lost its sense of identity, grab a cup of tea and start planning a DIY project. Wherever our attention is, everything grows. Simple arrangement, which adds so much personality! You can’t take a candid photo if the one you are trying to capture knows your intention, right? The best about our vintage planters is that they also had no idea what role they would play in their flowery scenarios. 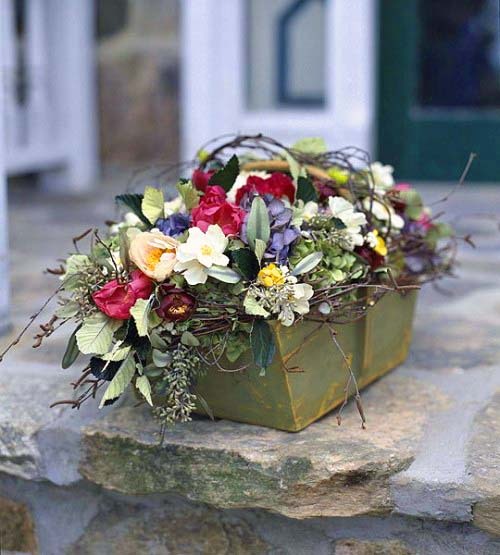 Look at this arrangement and create something captivating! 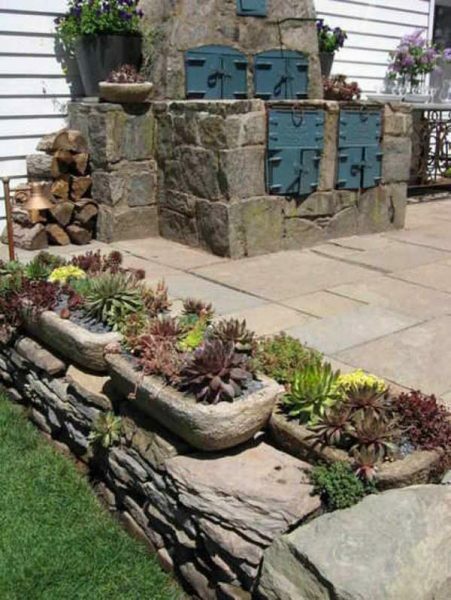 This is definitely a stunning way to add character to your outdoors! You would not believe how old this idea is. Nobody’s counting the years anymore – that old! That is the thing about vintage ideas. They are timeless. Sometimes they came from pure necessity. Sometimes they are bringing life to ideas that have been used over and over again one too many times. When it comes to creativity, the flowery bicycle is definitely an unusual garden planter. It is a garden décor that doesn’t leave you indifferent. It leaves you speechless, inspired and craving for nature. 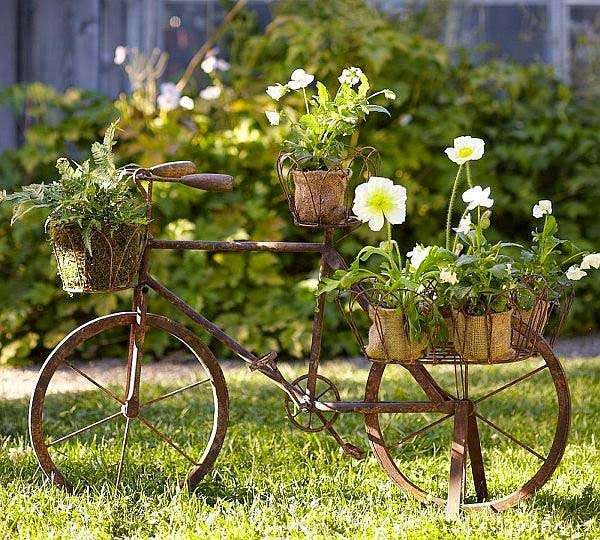 If you wish to have this in your backyard, simply use an old bicycle to create a DIY planter. Having an old hanging measuring scale at home? It could turn to a perfect garden planter. We are off to the next unusual idea. 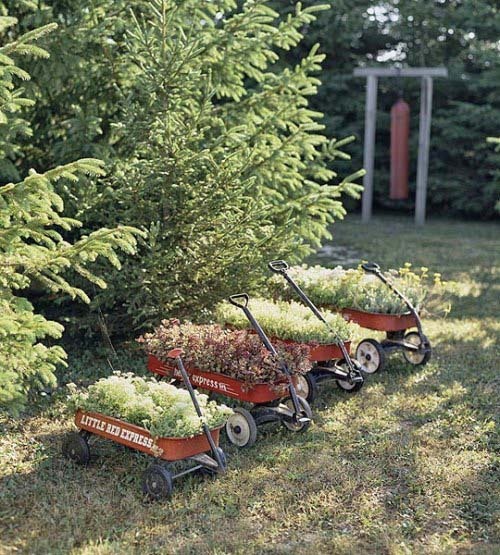 Small carts can be used as planters for green grass and plants of all varieties. It’s a golden tip! Charming, natural-friendly and a beautiful addition to the backyard. It can be successfully used even from someone with basic gardening skills. Gardening is almost like a spiritual practice. It takes place both in the physical world and in the realm of the invisible alchemy of life. 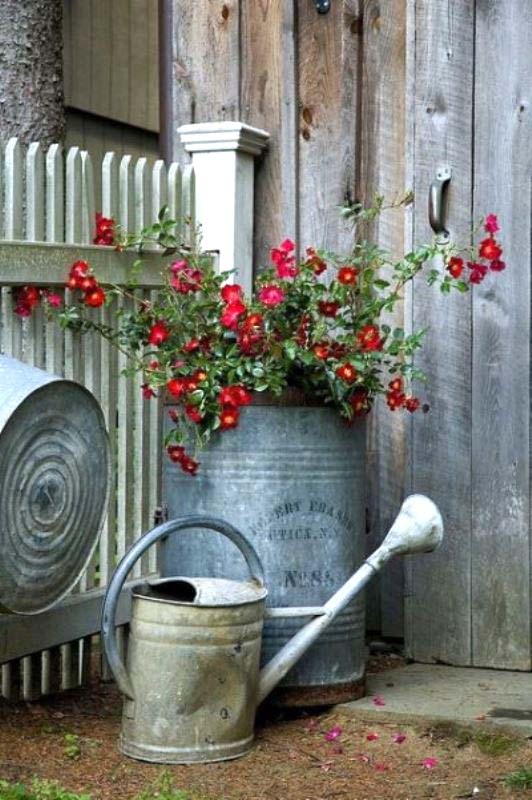 A watering can is a lovely planter in this case where the flowers can bloom. Yellow and purple colors, the flowers are all gorgeous and worth some devotion. 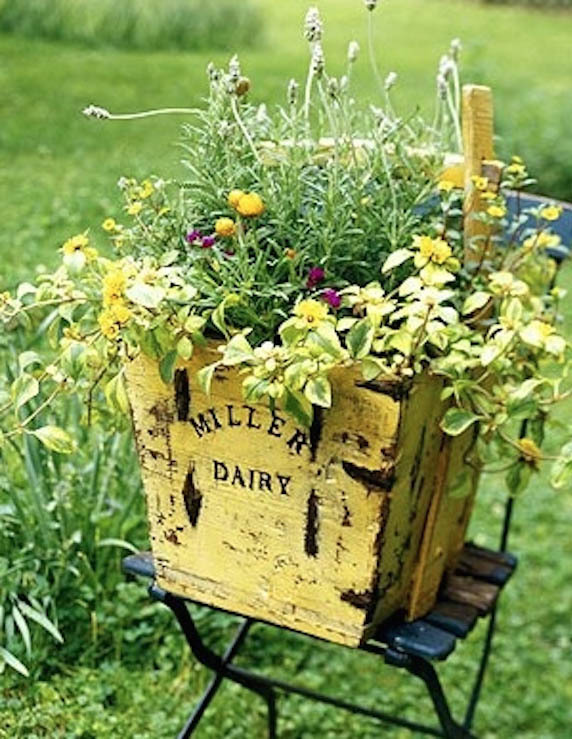 How about this ingenious vintage planter? This garden is a stunning masterpiece of art. There is an idea worth feeling inspired about. You can create different layers of the gardens, a variety of planters and elements to create a stunning, unique case of garden beauty. 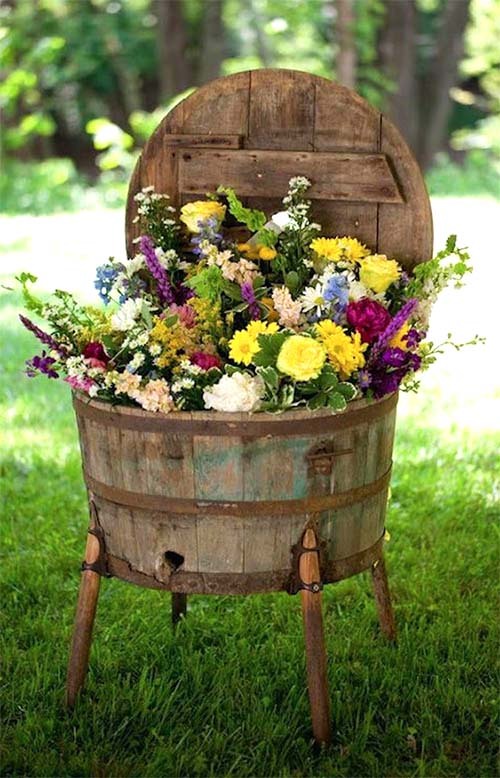 Repurposed whiskey barrels add so much character and charm! 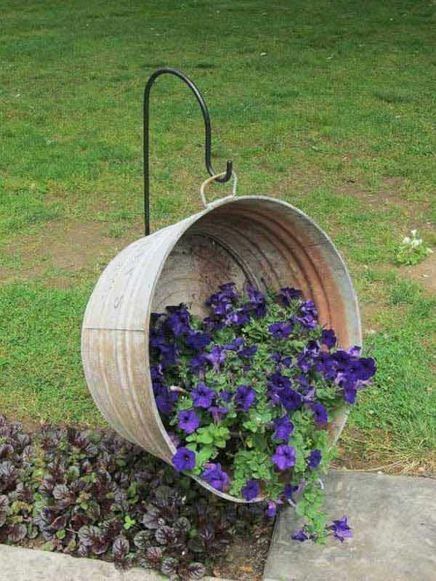 Formerly a whiskey barrel, now a planter. I call this progress, development and success. This element is an example of healthy, green living. It is also adorable and brings joy to our eyes. A full bouquet of marvelous flowers is a charismatic piece of art. Finely done and full of nature’s finest love! These type of flower arrangements are known as spilled flowers. Usually it recreates the idea of flowers flowing out of basket or some other planter.